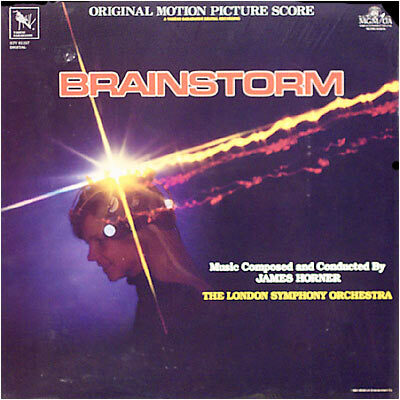 LISTENING NOTES: James Horner's "Brainstorm"
Earlier this week, I finally found what seemed to be an elusive disc. While browsing through Ebay's auction listings, I came across a seller who has acquired what must be one of the most substantial and extensive collections of rare, factory sealed and mint condition soundtrack and original film score LPs I've ever seen. 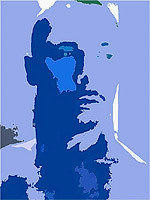 He had the soundtrack to virtually any film I could think of, and even more that I hadn't know existed! Ever since I found the magnificent original soundtrack to the film "Glory", I've been anxious to hear more of the work of composer James Horner. 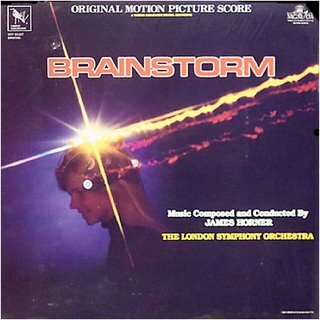 One of his earliest works, "Brainstorm" has been on my want list for several years, first coming to my attention through The Absolute Sound Superdisc List. A quick check uncovered a new, sealed copy at a very reasonable But It Now price. It arrived today, and immediately went on the turntable. One thing I hadn't realized is that the Varese Sarabande disc I purchased is not the original soundtrack. Rather, it is a re-recording of the work with James Horner conducting The London Symphony Orchestra. Perhaps the original recording was compromised in some way ( I have never seen the film) but this disc is just incredible. It is one of the finest recordings that you are likely to hear. Even without the visual element of the film, the score serves remarkably well on it's own. Even more amazing is that Horner was just 30 years old when he composed this score! The first element I noticed was the otherworldly effect of using a boys choir, which he also used in "Glory" to stunning effect. Here, it established a spiritual element to the opening cue (the title sequence I assume) But hold on...extremely low bass notes barely prepare one for the growing orchestral maelstrom that threatened to overwhelm my speakers during it's climax. I literally bolted to the preamp to lower the volume and head off disaster. The dynamic range on this cut is staggering, a sonic thrill you won't soon forget!. I was very impressed already, just one minute into the record. The next cut did not disappoint, another shocking display of extreme dynamic range entitled "Lillian's Heart Attack", which is everything you might imagine The effect is similar to that which Giorgio Moroder achieved in the autopsy cue from "Cat People". It employs a quiet, melodic introduction which is suddenly interrupted by a huge orchestral (or synthesized in the Moroder) crash of such ferocious intensity that it will give most any listener a heat-stopping shock. Unforgettable. The mood changes to a more pleasant one throughout the remainder of Side One, finishing with the hauntingly beautiful "A Gift from Brian". I should note that this entire LP clocks in at about 30 minutes, and that it is a digital recording. Any of the three cuts I've mentioned alone are worth the price of admission. The creative scoring, superb sonics and blissfully silent surfaces make this an obvious "must have". Highly recommended!.